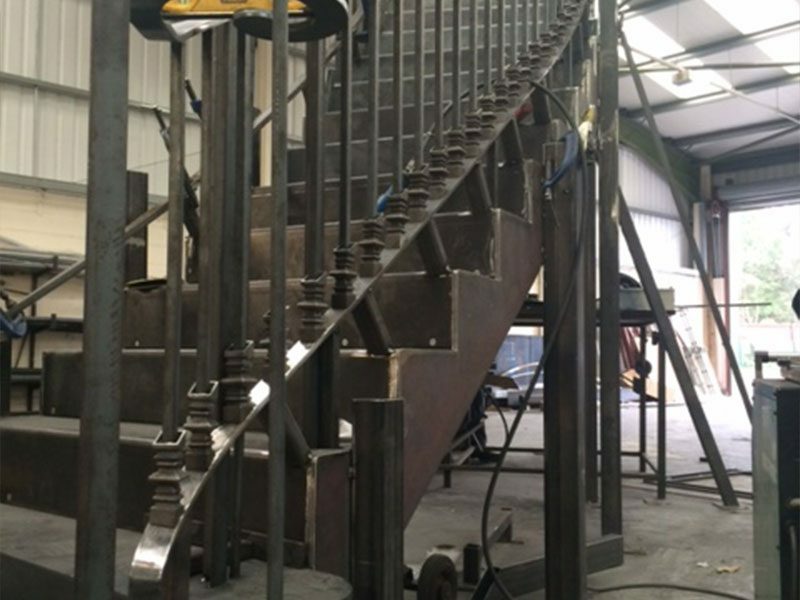 We are experts when it comes to creating architectural pieces in a range of materials and steel, in particular, is a sturdy yet versatile material that can fit well in many different settings both indoor and out. 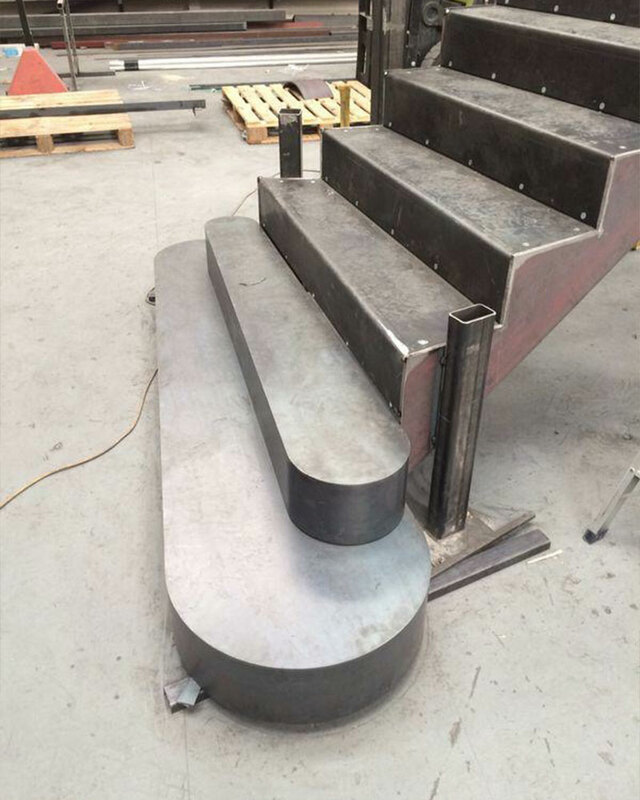 One of the critical factors about steel is its strong constitution and hard wearing properties. 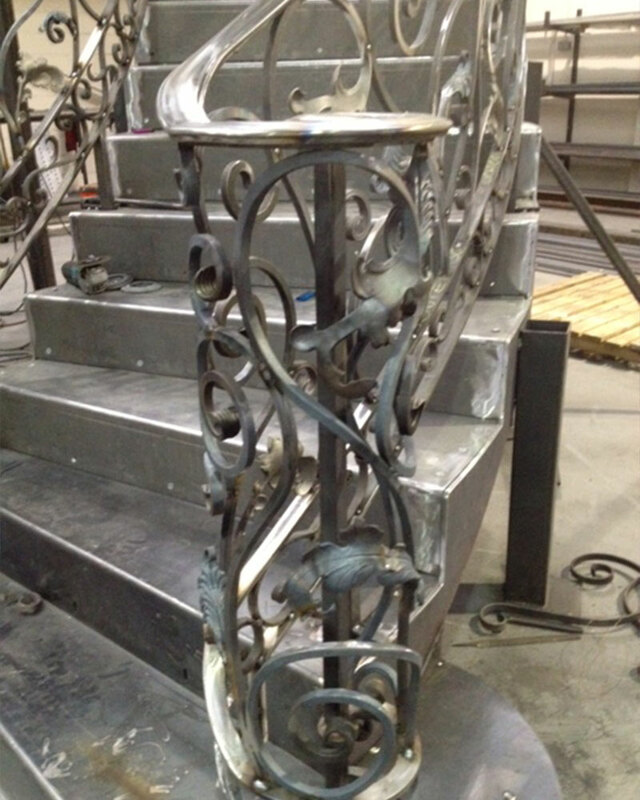 These factors do not mean that steel has to be dull, functional and devoid of style and flair though. 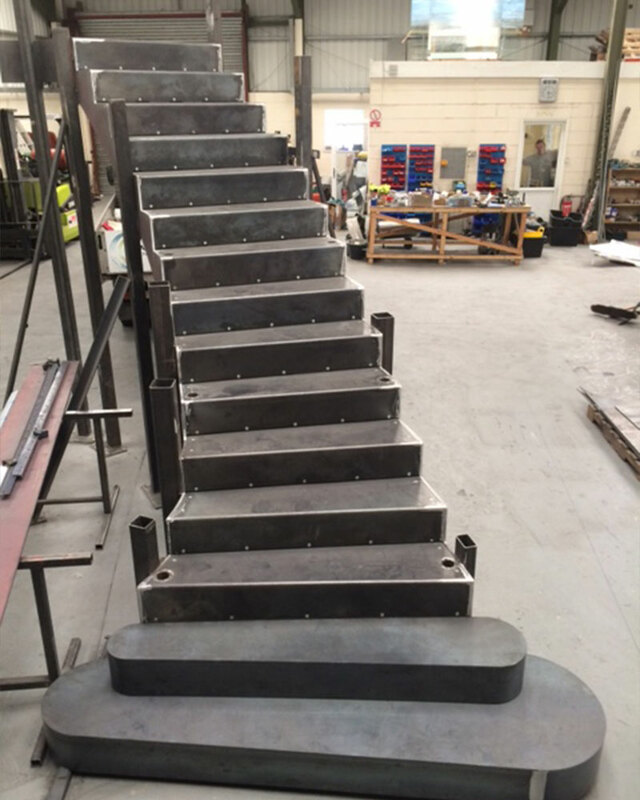 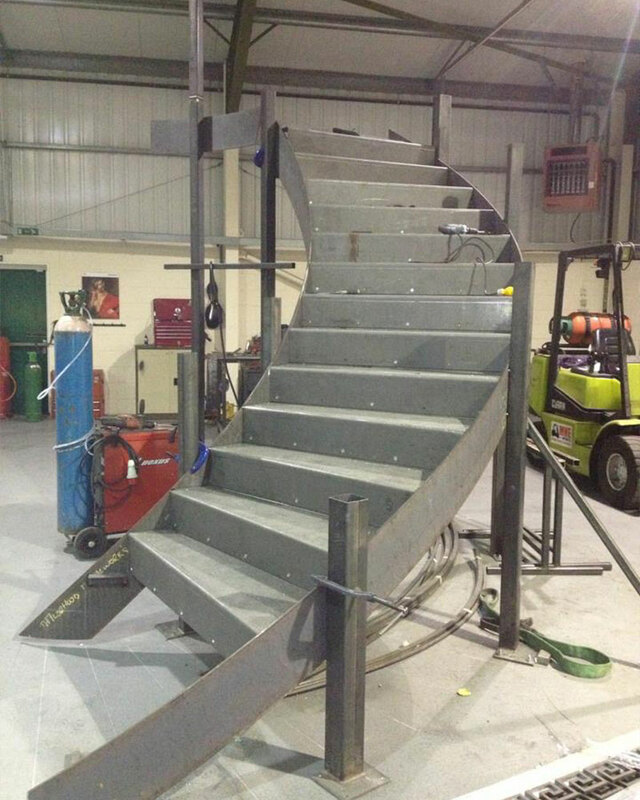 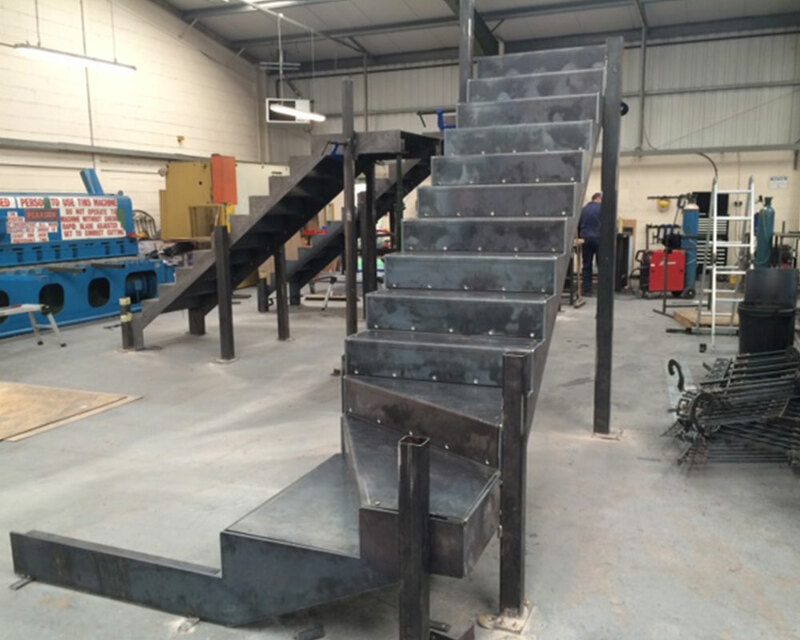 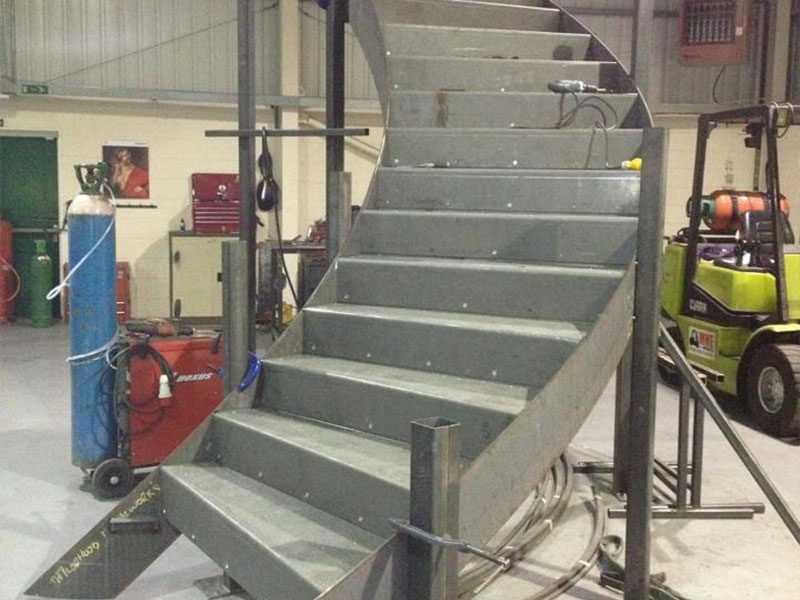 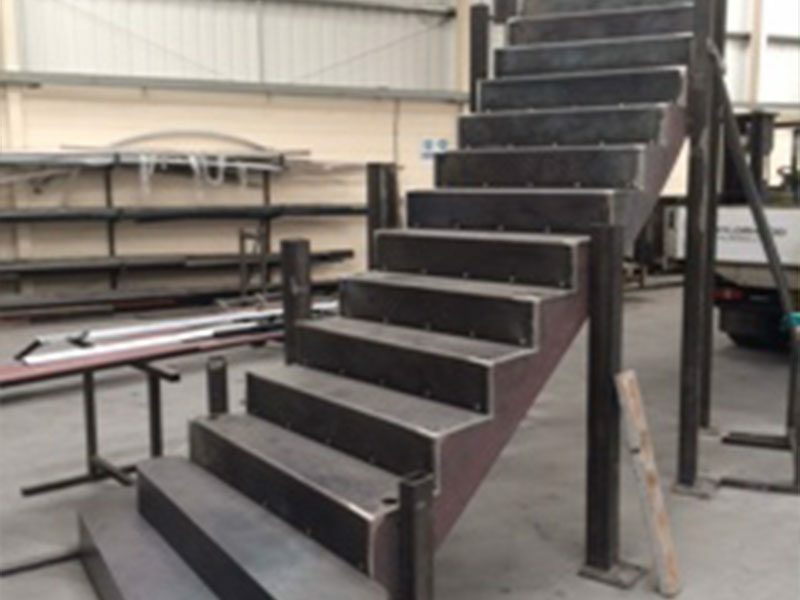 Our steel fabricators can create a wide variety of fabricated products to match your requirements and taste. 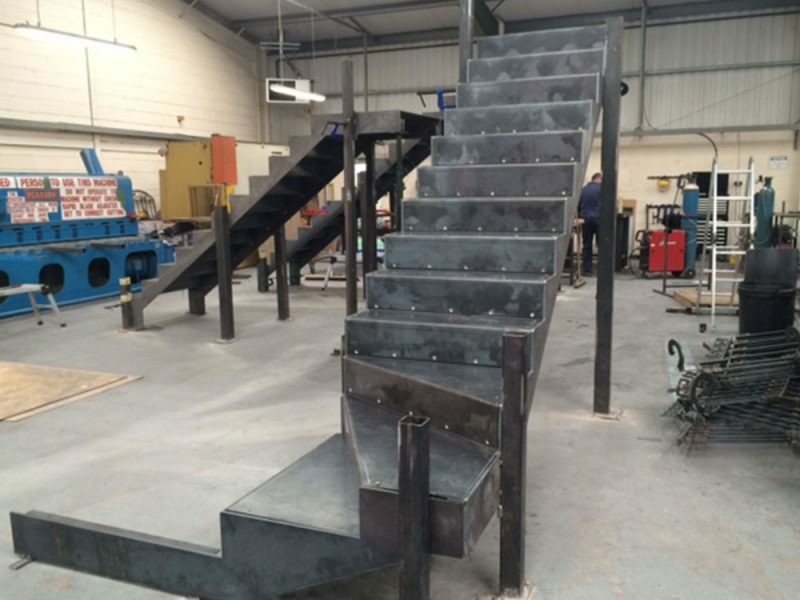 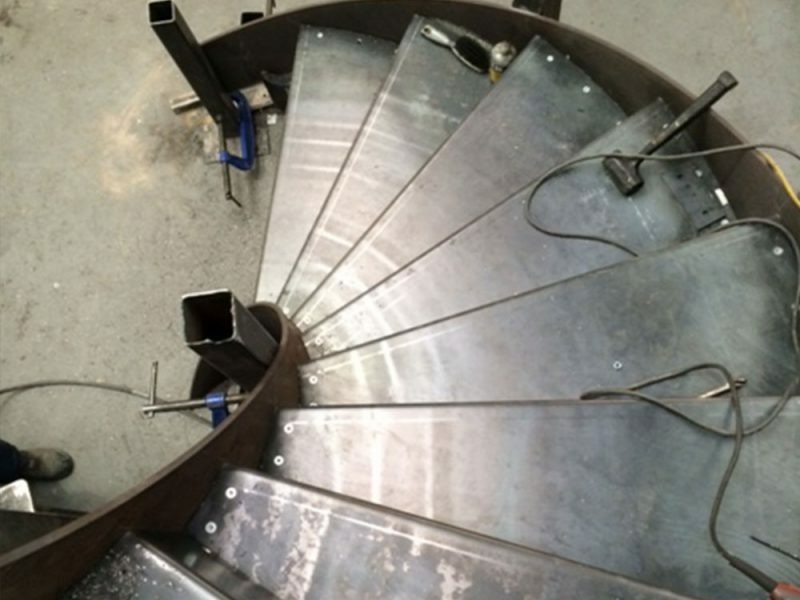 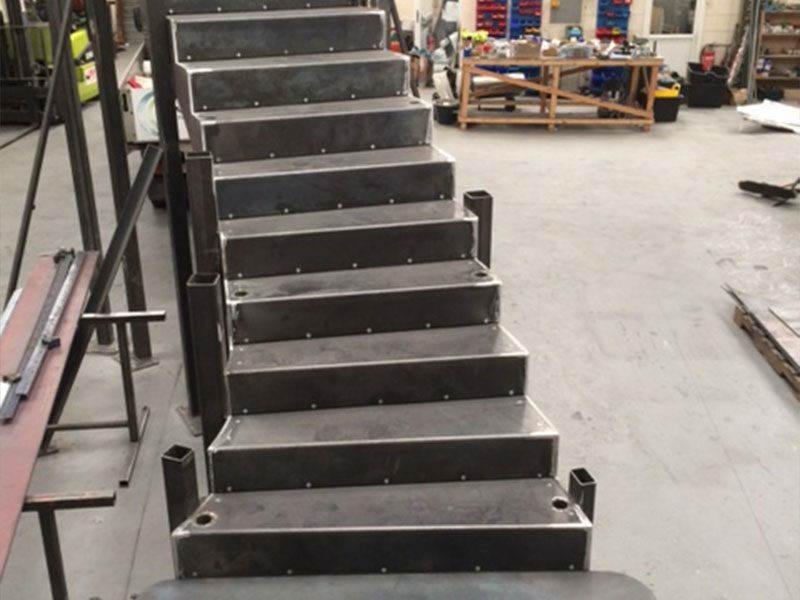 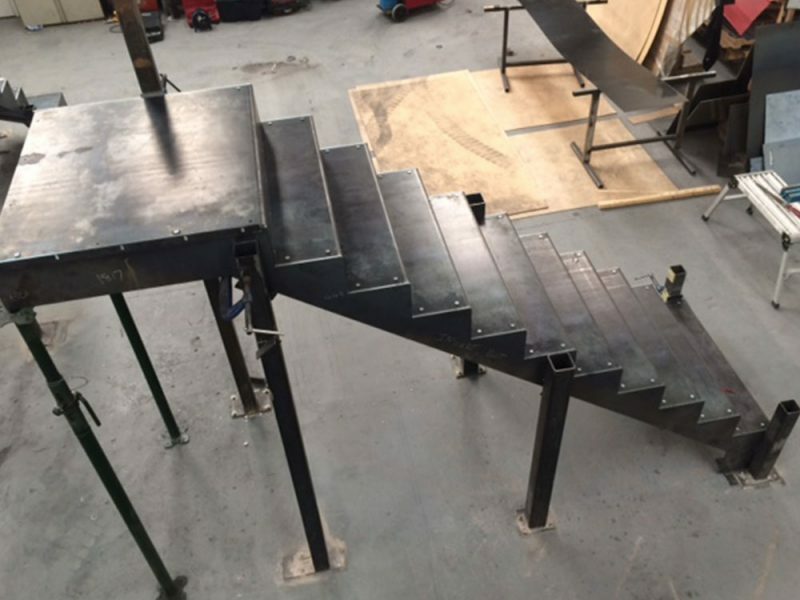 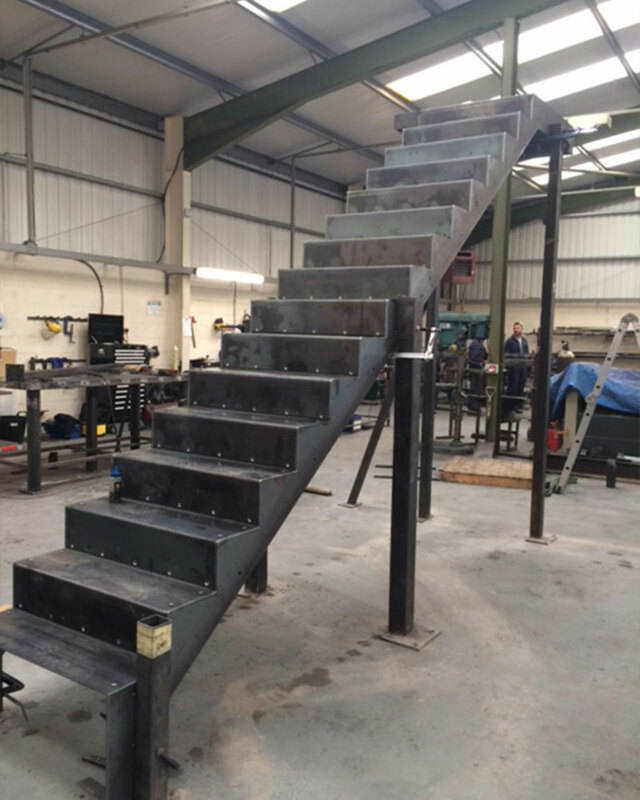 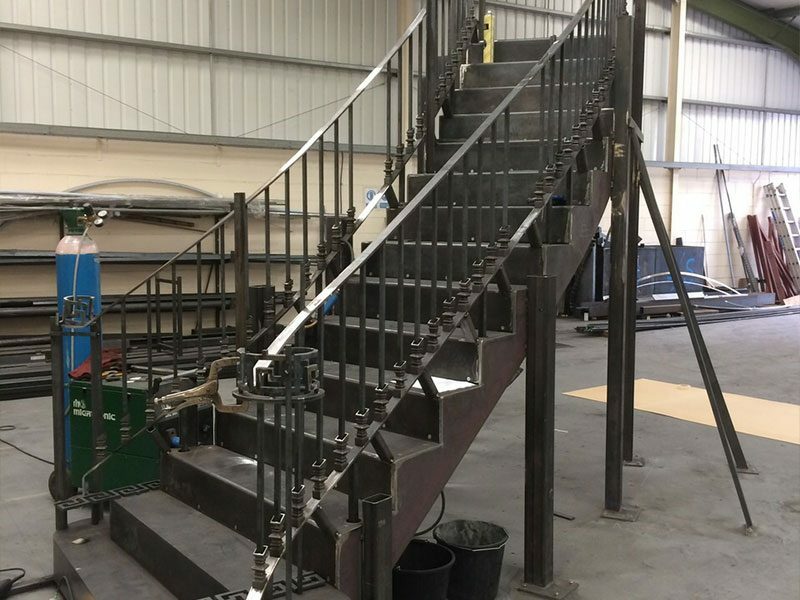 Whether for the domestic, commercial or industrial use you can provide as little or as much input into the design process as you would like and we will create the right steel fabricated pieces to match your requirements and specification. 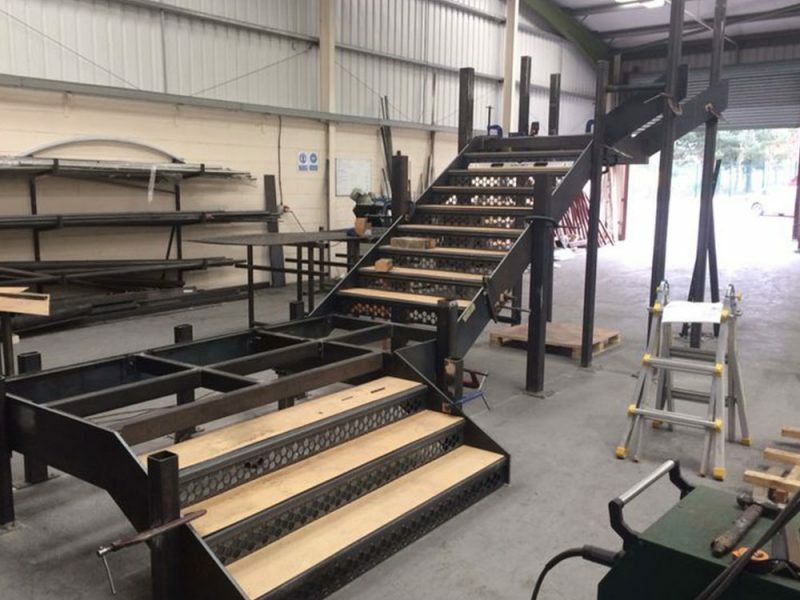 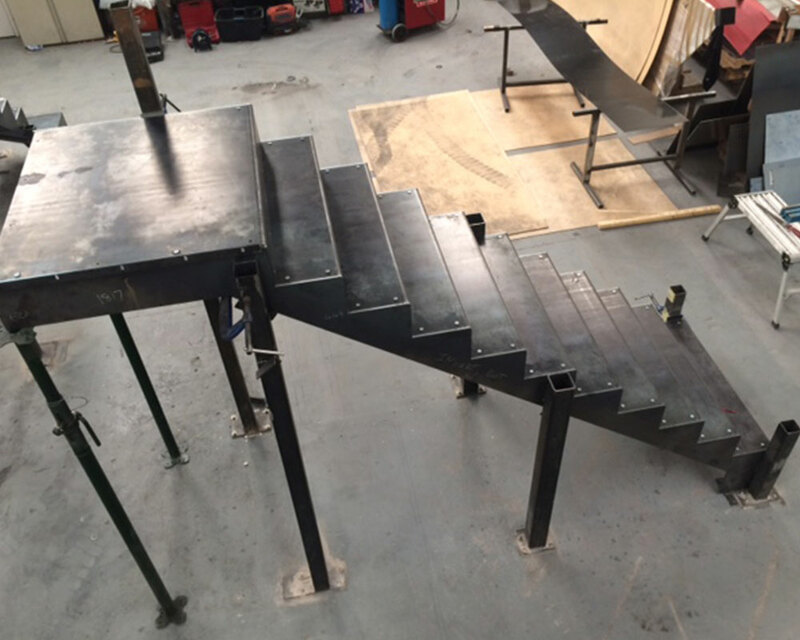 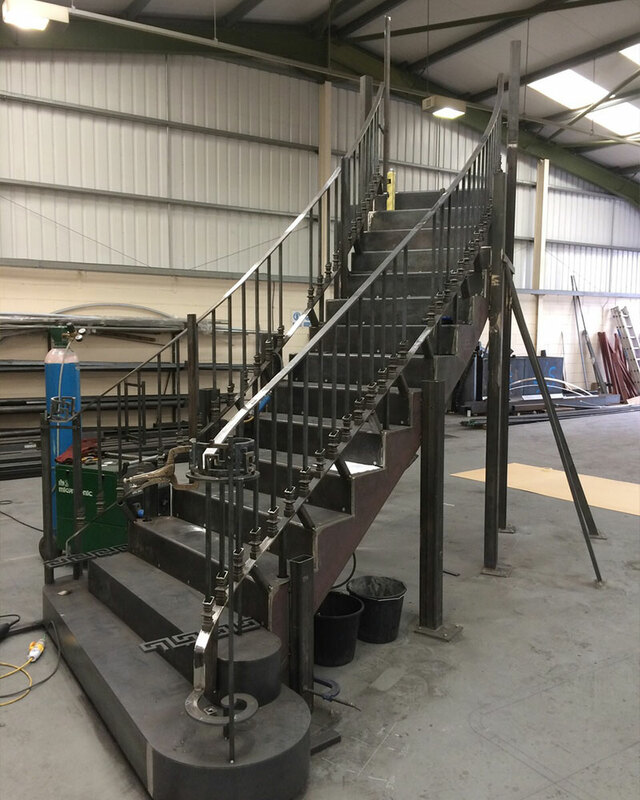 Below we have provided a quick guide which highlights just a few of the varied designs our skilled steel fabricators can create for your premises. 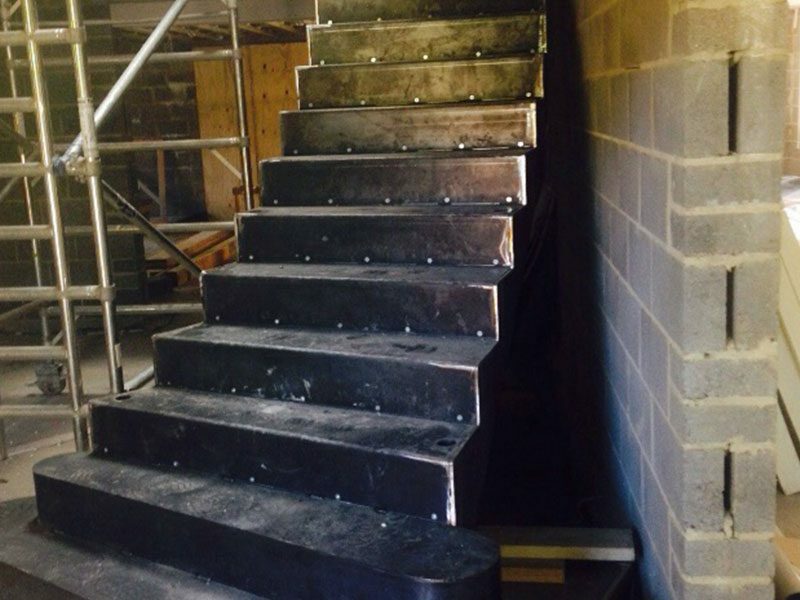 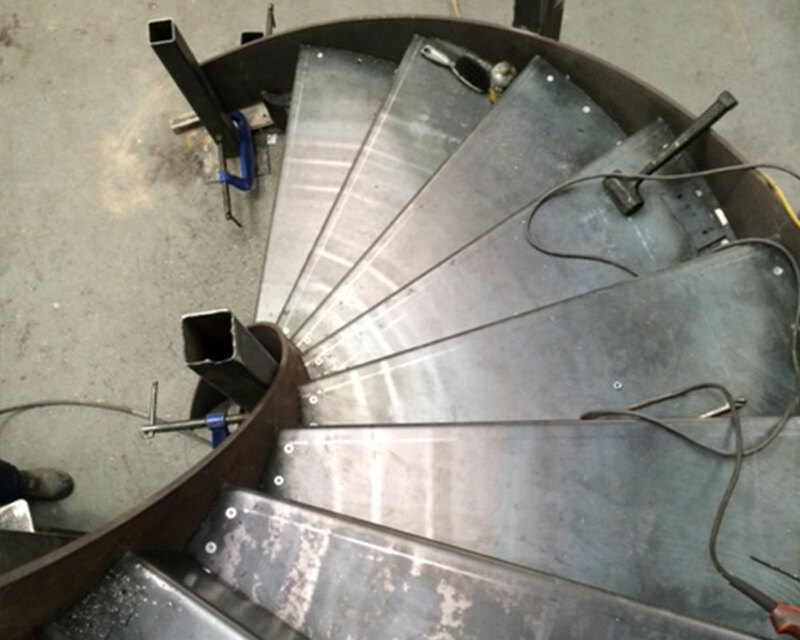 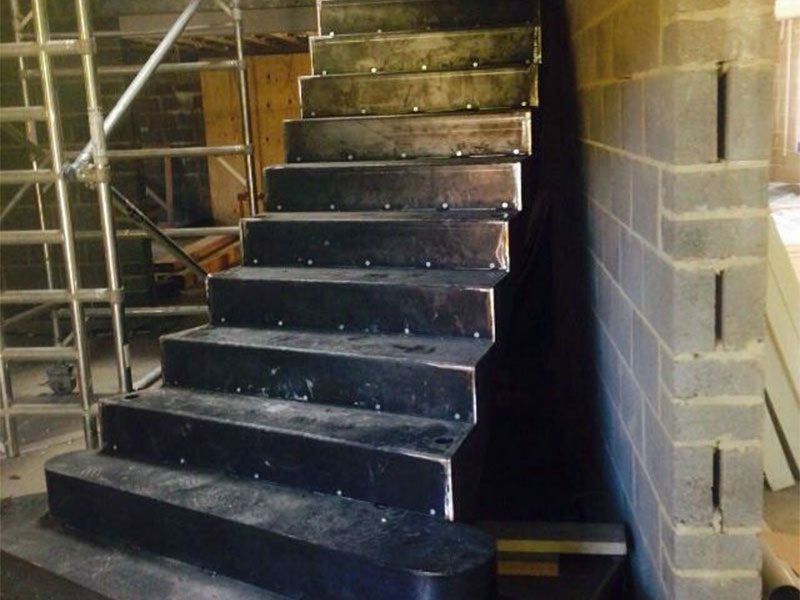 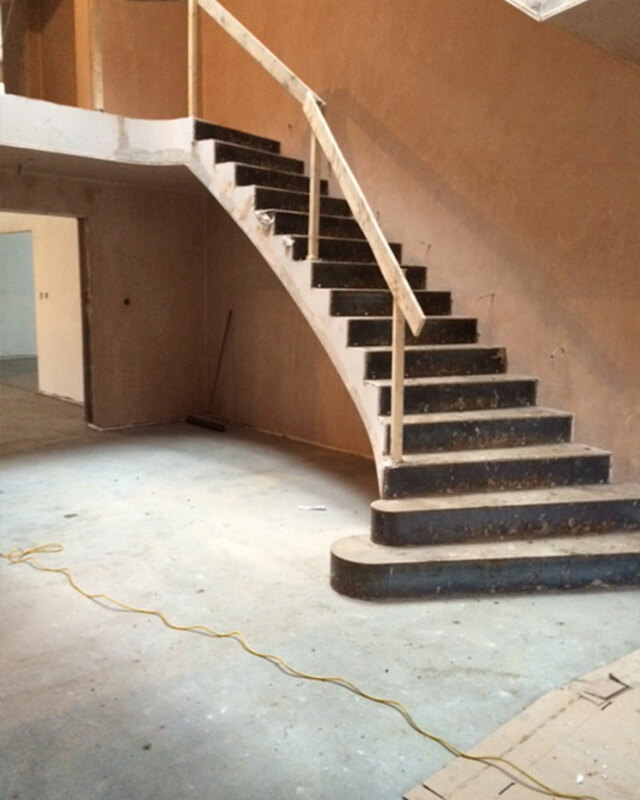 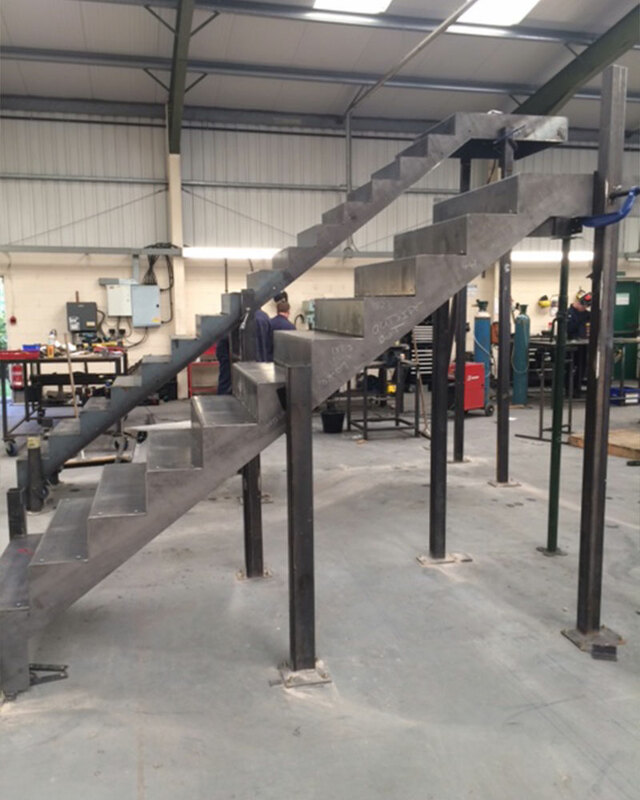 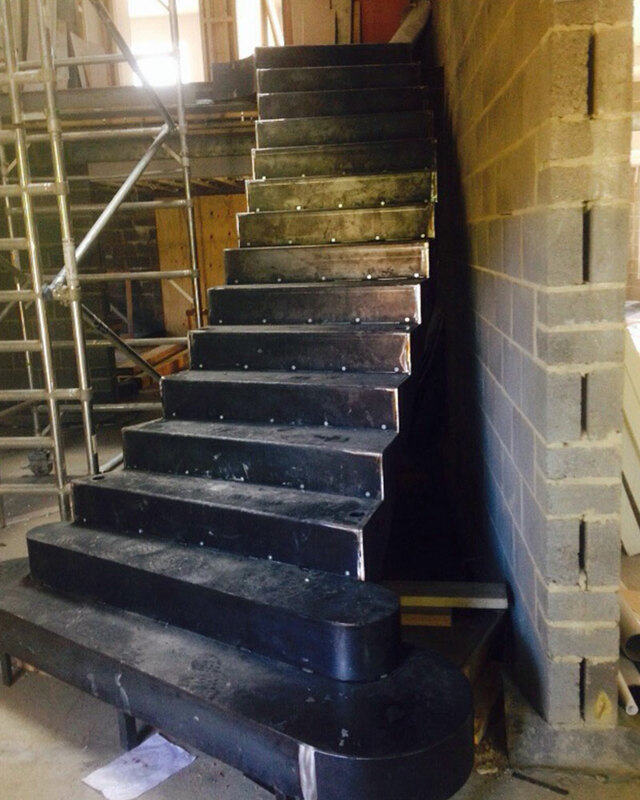 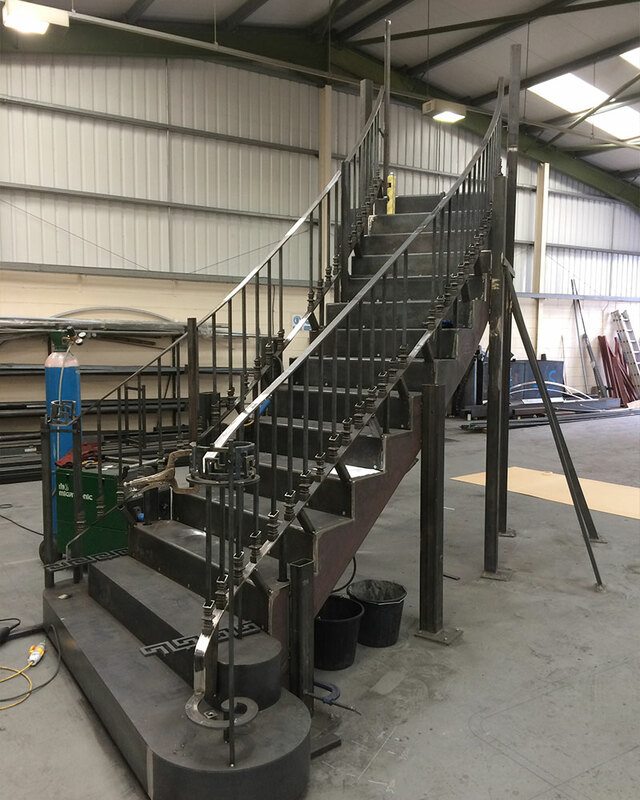 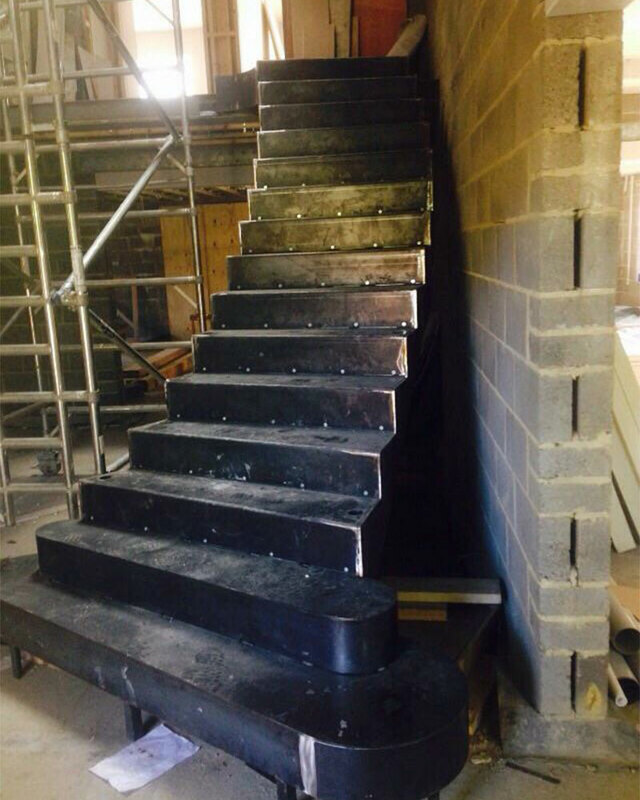 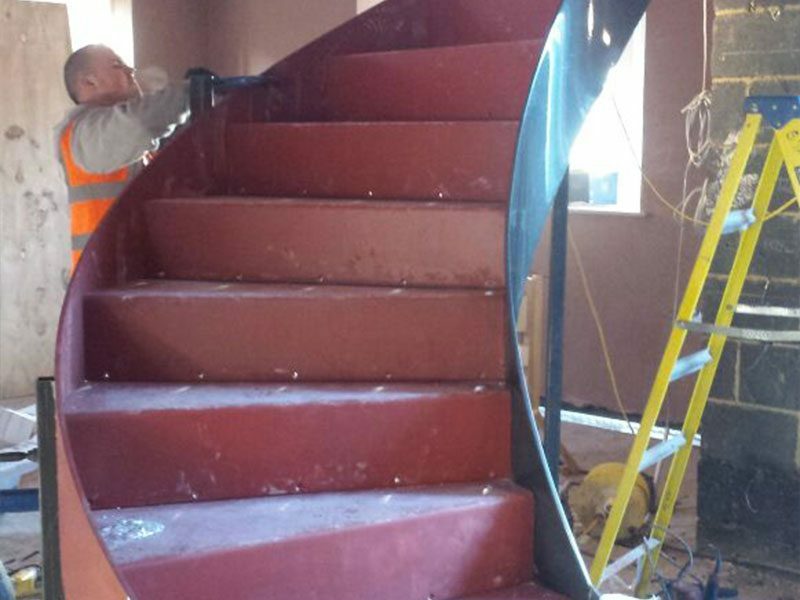 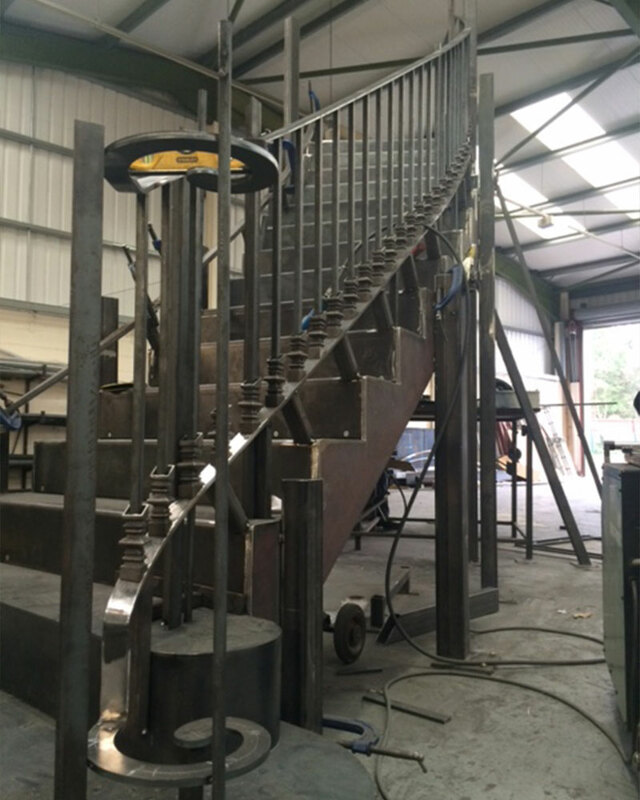 Our steel fabricated stair railings can be as functional or aesthetically pleasing as you desire. 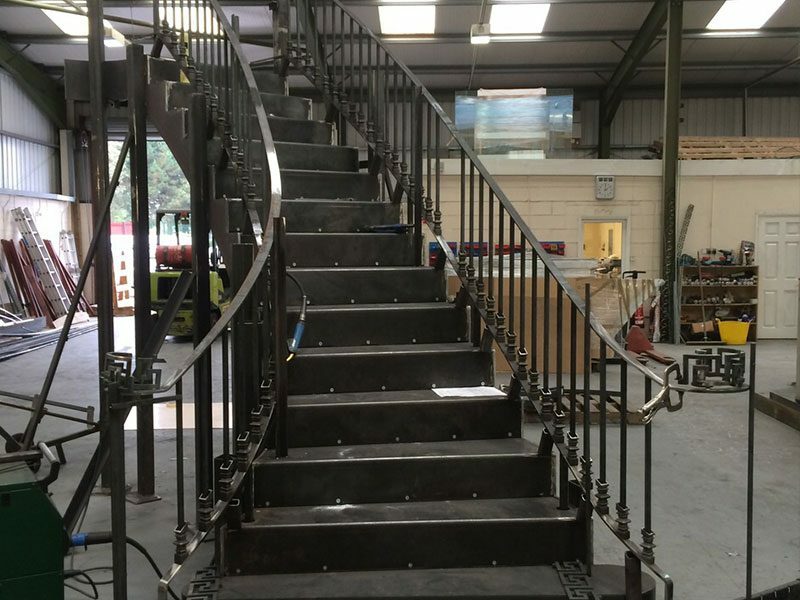 Popular choices include our traditional railings for indoor use which can be customised with an almost infinite number of different combinations of shapes, patterns, twisted segments and other design flourishes to accentuate your home or workplace. 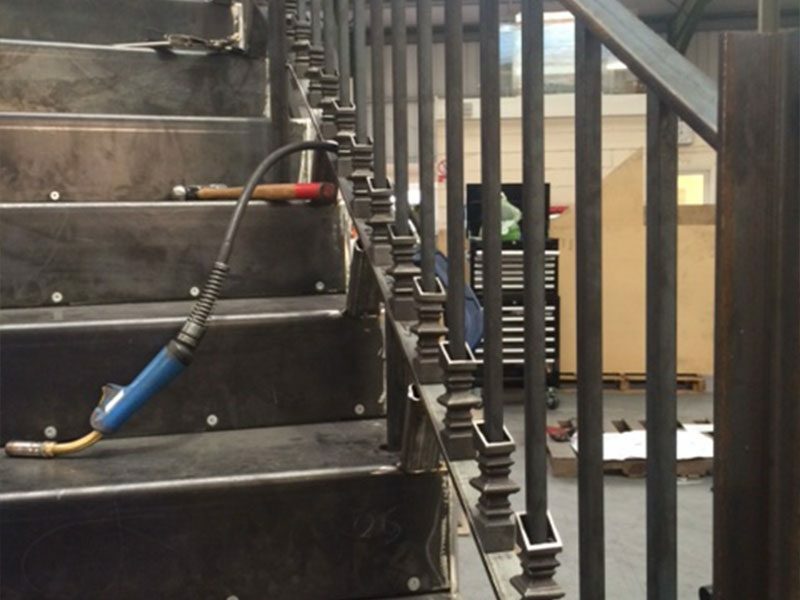 Our contemporary, minimalist steel railings are equally as stylish and use pockets of space to create an alluring effect which is also available in an almost infinite number of different combinations and design choices. 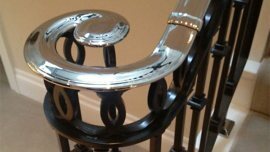 Find out more about our railings choices on our Stair Railings page. 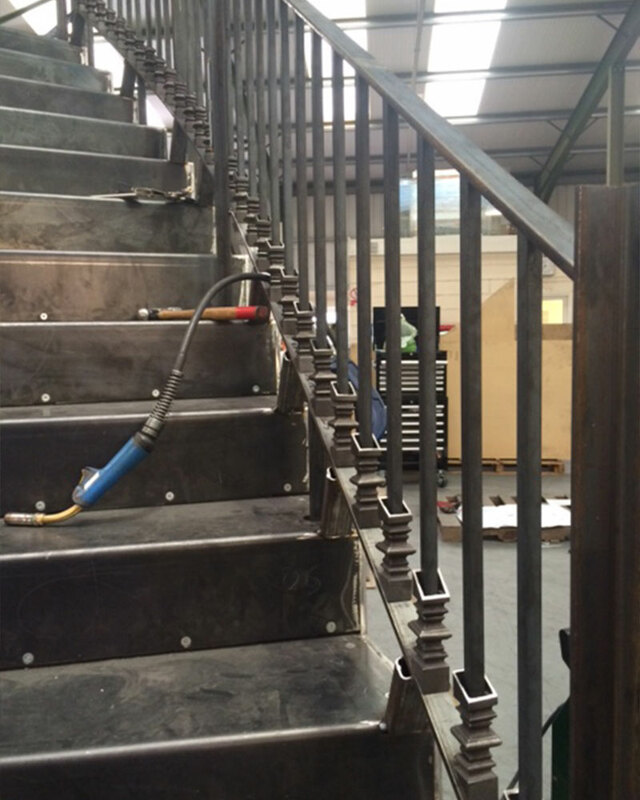 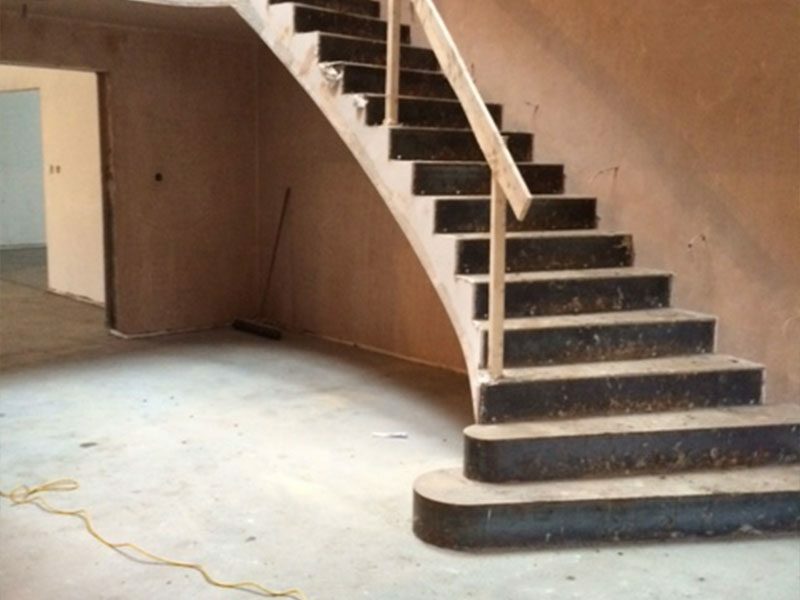 We create balustrades using a range of different style options and combinations of materials. 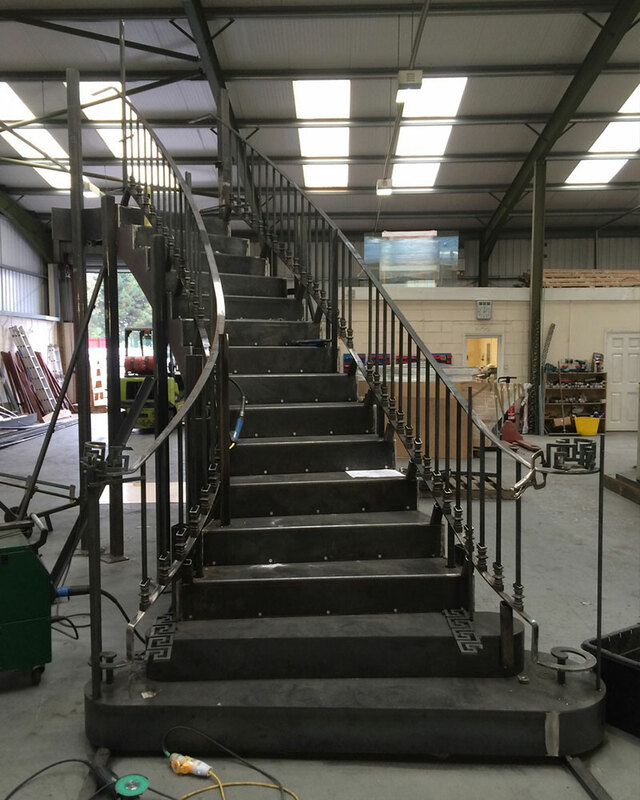 Steel balustrades are one of our more popular choices due to their hard wearing properties and versatility for use indoors and out. 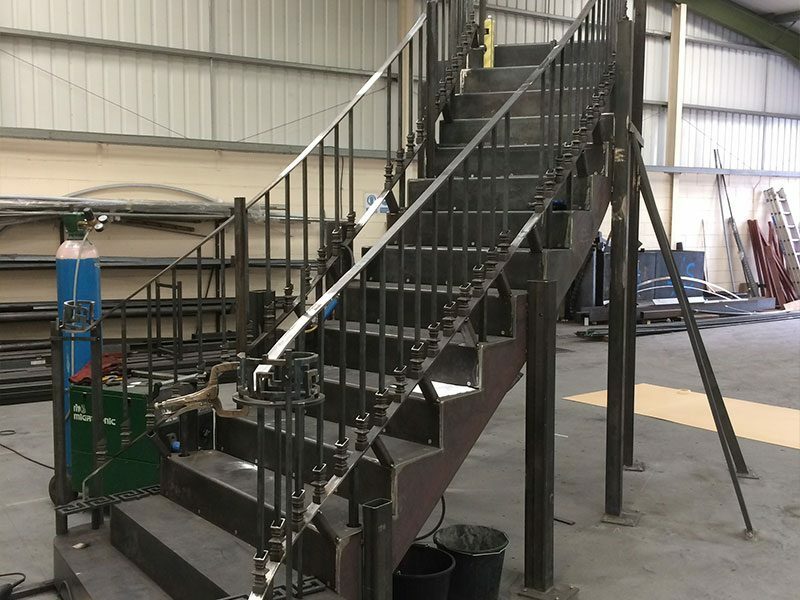 Steel balustrades are perfect for industrial applications and fit perfectly with existing fixtures in many factories and workshops. 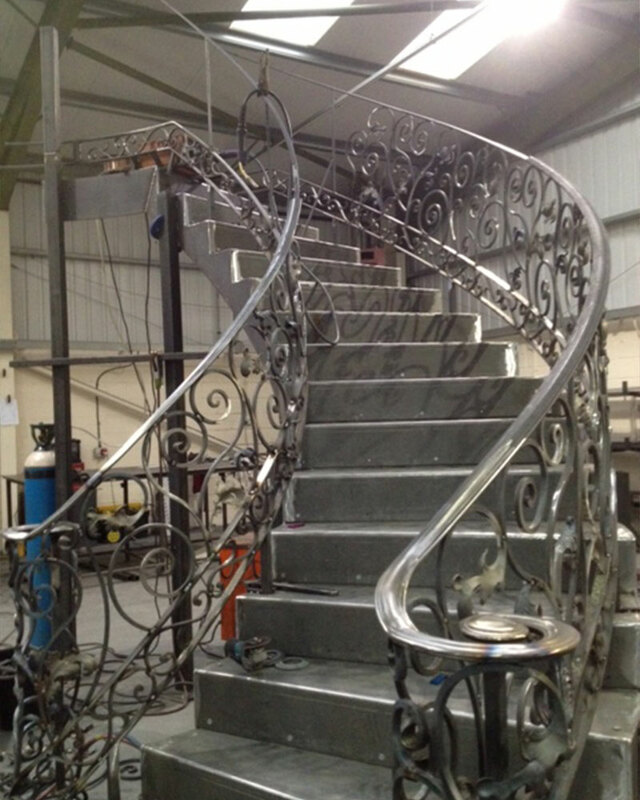 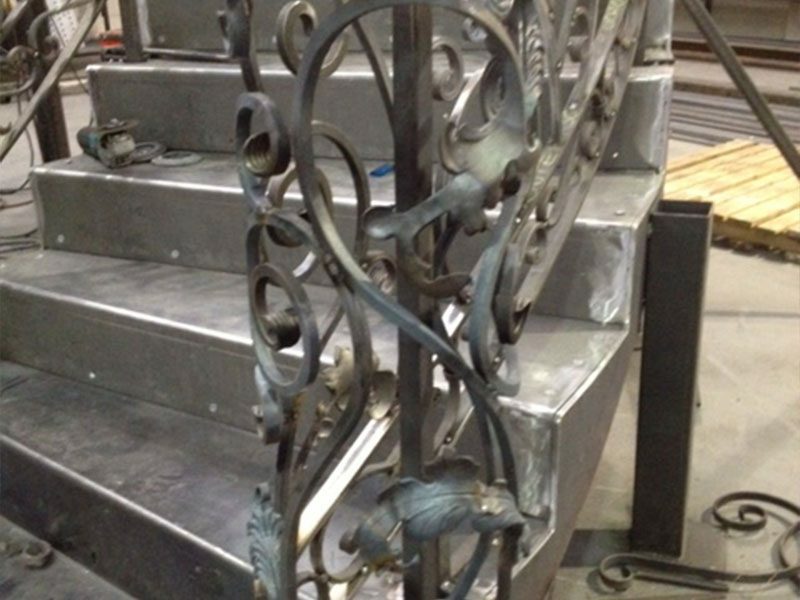 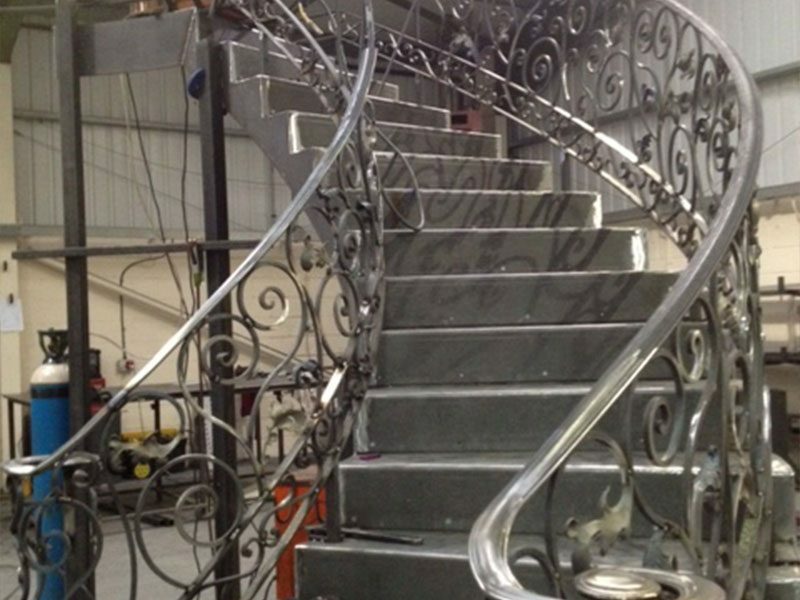 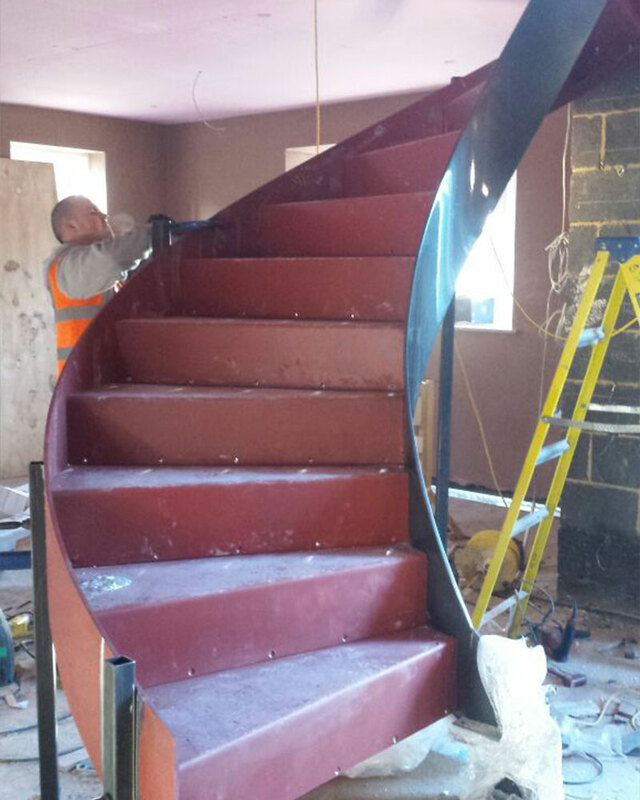 Our fabricators can also design more stylised balustrades for restaurants, bars or any other setting you require. 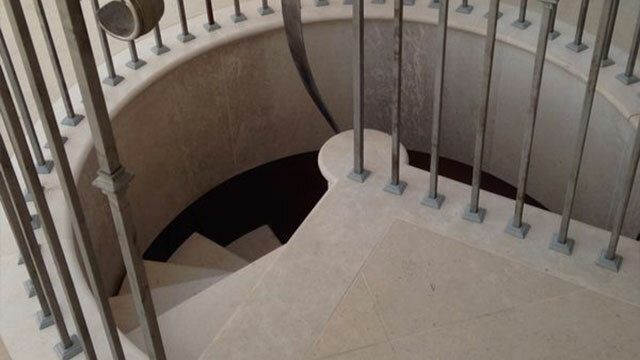 Find out more about our full range of balustrades options on our Balustrades page. 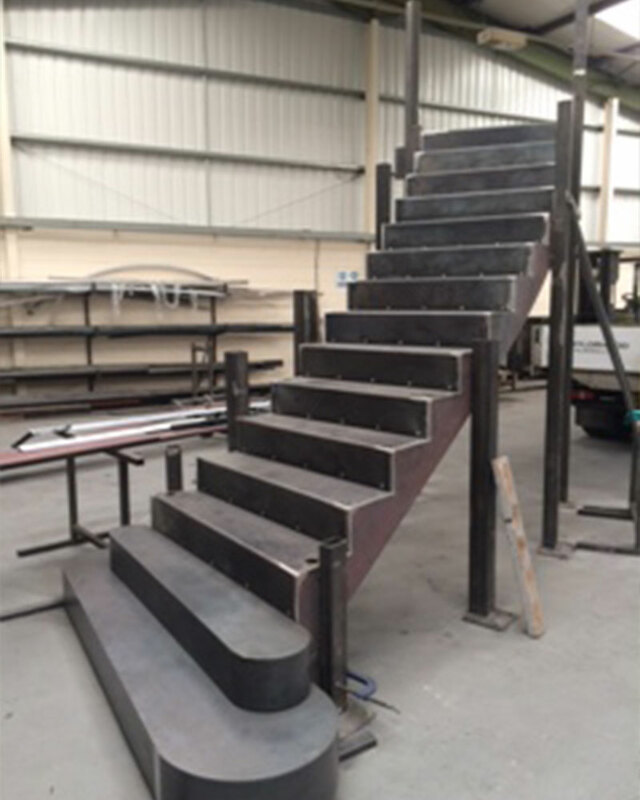 Structural steel fabrications are designed primarily for supporting large weights and forming part of the structural frame of a building. 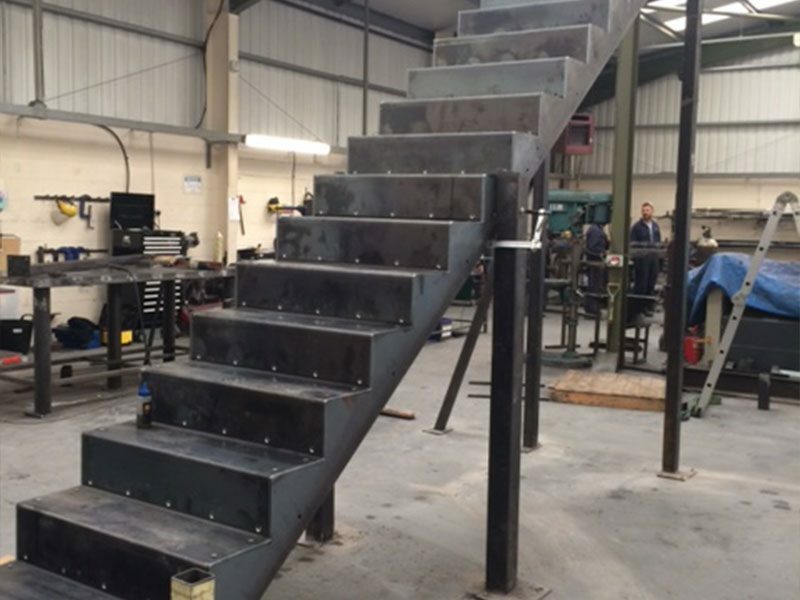 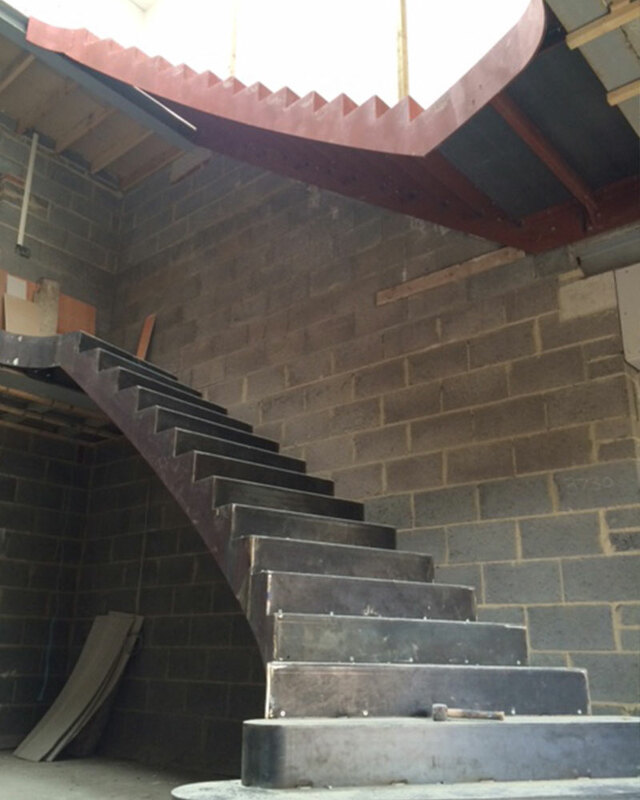 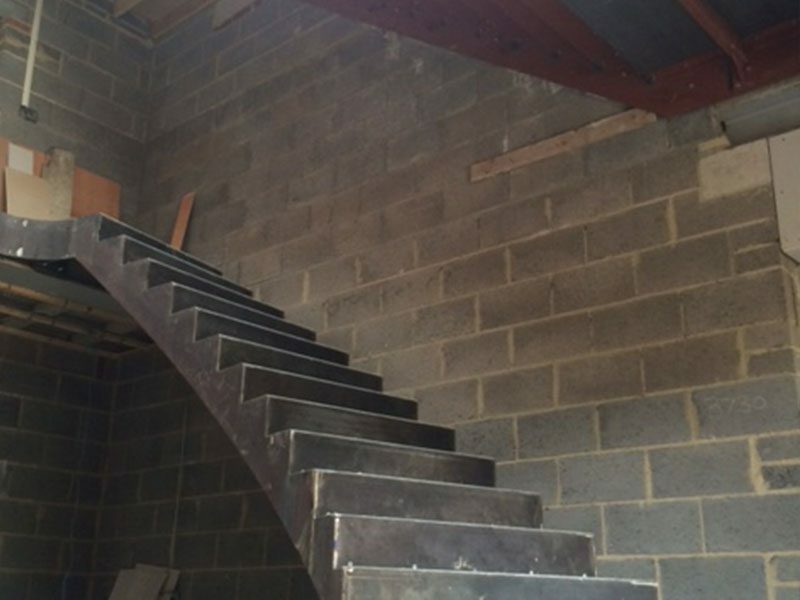 As with all of our products, our steel fabricators can create and install structural supports that are of high build quality while also visually impressive and consistent with the design features of your property. 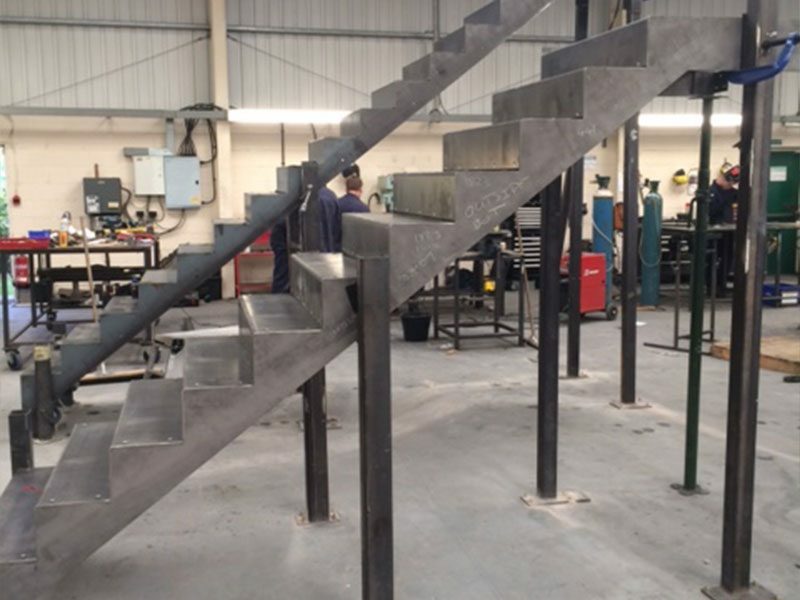 Steel canopies are often preferred for their hardwearing and robust properties, and we design and construct them to stand the test of time. 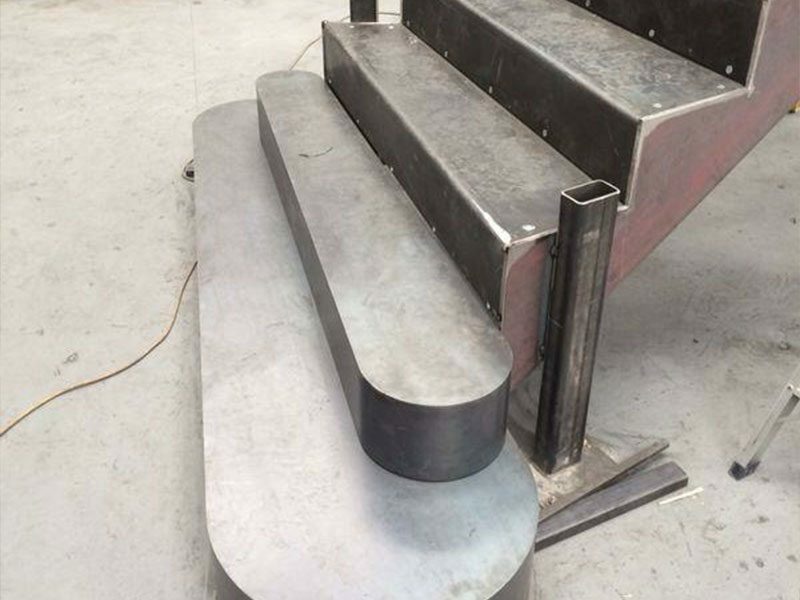 Bearing this in mind, we put time and effort into ensuring our steel fabricated canopies are designed to be as structurally sound as possible while also fitting into and accentuating the features of the external area they are installed. If you would like to find out more about our steel fabrication services please Get in Touch with a member of our team.